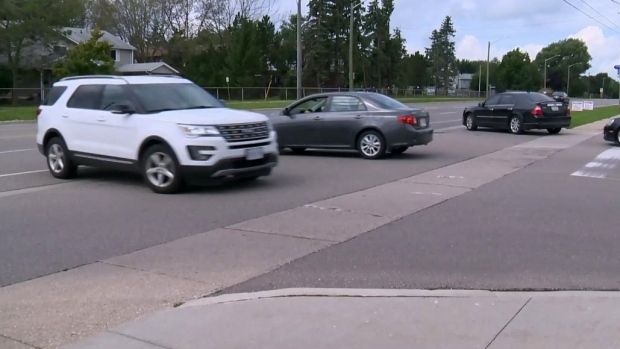 Waterloo Regional Police say they have charged a woman in connection to an incident that sent a motorcyclist to hospital with life-threatening injuries. Police say on Monday a 21-year-old woman from Woolwich Township was charged for her involvement in the two-vehicle collision. Police responded to the collision at 8:57 p.m. on Sept. 1 at the plaza on Weber Street North and 640 Parkside Drive. A motorcycle travelling northbound on Weber was struck by a vehicle exiting the parking lot. The motorcyclist was ejected from his vehicle and sustained serious life-threatening injuries. He was taken to Grand River Hospital before being airlifted to Hamilton. She is now facing charges of Carless Driving and Fail to Yield from a Driveway.